I use surface texture and tone to create pseudo-diagrams in order to illustrate philosophical, psychological and ideological arguments and theories. It is often difficult for an individual to verbally explain a personal ideology or mental state. Through visual and tactile representation, it is possible to impart to another individual the internalized narrative or concept. Jacob Gambill is a thirty-six year old emerging artist from Jonesboro, Arkansas. He took up art at age six, copying Spiderman comics. He has worked as an illustrator for small print and online comic books, as a tattoo artist, a salesman, a custodian and an exterminator. He received his bachelor’s degree in fine art from Arkansas State University in 2009 and is currently a second semester MFA student at Memphis College of Art. He has in-depth philosophical conversations with his ten year old Great Pyrenees, Benchley. He often loses. Catherine Erb is a native Memphian who now splits her time between Memphis, Florida, Texas and California. She first began her fascination with photography in boarding school where her art teacher allowed her unlimited access to camera and darkroom. She spent the next several years working with photographers across Europe, absorbing art and culture in Greece, Germany, France, Austria and Italy. When she returned to the States to raise a family, she continued to shoot and began using her photography as a way to visually journal. The work shown will be a survey of her photography from the past twenty years. For more about her work see her website. The show will be on display through September 23. Viewings of the show after the opening night are by appointment only. Call Lindsey at 278-0016 for an appointment. A portion of the proceeds from sales will benefit the Church Health Center. Gallery 363 at Leadership Memphis is managed by Allen Hall Projects. For more information about the show or for sales information, call 901.452.8033. 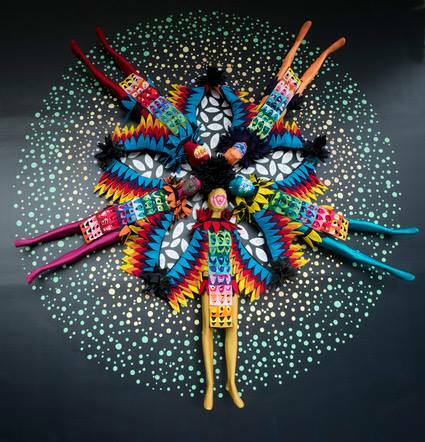 We are thrilled to invite Saya Woolfalk to Memphis! Woolfalk’s work has exhibited at galleries and museums around the United States and abroad, including PS1/MoMA in New York, the Museum of Contemporary Art, Chicago, Studio Museum in Harlem, Frist Center for the Visual Arts in Nashville, Weatherspoon Art Museum, Greensboro, NC, and the Contemporary Arts Museum Houston. And she participated in PERFORMA09. In the New York Times, art critic Holland Cotter wrote of Woolfalk's piece, "Chimera," at Third Streaming Gallery, that "Ms. Woolfalk has created her own society of mythological beings called the Empathics, who not only blend racial and ethnic differences, but also dissolve the line between humans and plants. These sculptural figures, with their blossom heads, are fantastic but, as with all fundamentally spiritual art, a complex moral thread runs through the fantasy." Lowery Stokes Sims has written that "Woolfalk is single-handedly guiding us back to the original promise of modern art. Suprematism and Constructivism in Russia, De Stijl in the Netherlands introduced formal devices such the elimination or blunting of figural reference, the use of simple geometric shapes and primary colors in the belief that these encourage a transnational, un-xenophobic perspective that would lead us to open-minded future. Therefore we underestimate Saya Woolfalk at our peril, because it is conviction such as hers that can move cultures and shift the meta-narrative." With funding from the NEA, her solo exhibition, "The Institute of Empathy," ran at Real Art Ways Hartford, CT from the fall of 2010 to the Spring of 2011. Her first major solo exhibition at a North American museum opened at the Montclair Art Museum in October 2012. For more information and to RSVP please see the Facebook event page. The Wrong Again Gallery is pleased to announce the opening of A Magic Hour (or Two), an exhibition and interactive work by New York artist, Stephan Pascher. A streaming video, a short tale, and a pair of watchful eyes. Elements from elsewhere comprising Stephan Pascher's installation: A Magic Hour (or Two). A rough ride up a canyon rode, a seemingly extirpated yet extant wolf, and art in unfamiliar places. From Far West Texas to Downtown Memphis. The Wrong Again Gallery for two hours in late August. Stephan currently lives and works in New York City and Marfa, Texas. He is an artist, writer and teacher. He has taught in numerous art departments including Cooper Union, Columbia University, Rutgers, Malmo Art Academy, the Art Institute of Chicago and presently at Sotheby's Institute of Art in New York City. Over the past two decades Pascher's work has been exhibited internationally at many venues, most recently at Cutureget (Lisbon), Kunstmuseum Basel, Steven Wolf Gallery (San Francisco), Orchard (New York) and upcoming Artists' Space (New York). Pascher has written on art, film and a variety of cultural issues, appearing in numerous publications including Afterall, Art in America, Springerin, Merge Magazine, Metropolis, The Museum as Arena: Artists on Institutional Critique (Verlag der Walther Konig) and Institutional Critique: An Anthology of Artists' Writings (MIT Press). The opening reception is Thursday, August 29, 7-9pm. And as is our practice we will Skype to Stephan at his home and studio in Marfa, Texas. We are free and open to the public. The Wrong Again Gallery's address is 648 West Marshall Avenue, Memphis, Tennessee, 38103. In this seventh installment of Circuitous Succession, Jason Miller curates from objects collected over time by Mike Coulson. Miller collaborated on thoughts of how these objects could inform a new body of work to be created by Coulson. This exhibition is the fruit of that dialogue between curator and artist. Memphis College of Art announces the opening of Blurring Dimensions on August 14 at Hyde Gallery in the Nesin Graduate Center, 477 South Main during the South Main Trolley Night. The exhibition will be on view until September 20. Blurring Dimensions showcases diverse artwork that explores the use of mixed media to blur the line between our perceived and traditional notions of two- and three- dimensional art. Artists featured in the exhibition are Jonathan Auger, Gregory Euclide, Adam Farmer, Rebekah Laurenzi, Cedar Lorca Nordbye, Claudia Santillan, Amanda Sparks and Travis Townsend. Cat Peña, MCA's coordinator for exhibitions and lectures, brought her own artistic sensitibilities to bear as curator of Blurring Dimensions. "As an artist whose work often relies on the tension created between the idea and the physical object, I am excited to share the work of both local and national artists whose approach to blurring dimensional boundaries may be formally similar, yet conceptually diverse." Hyde Gallery is open Wednesday - Saturday, noon to 5pm. On Trolley Nights, Hyde Gallery is also open 6-9pm. All of MCA's galleries are open to the public, and admission is free. As delicate as it is violent, and containing as much of Tom Lee's wit as it does his bite, Sheer Delight both comforts and confronts. 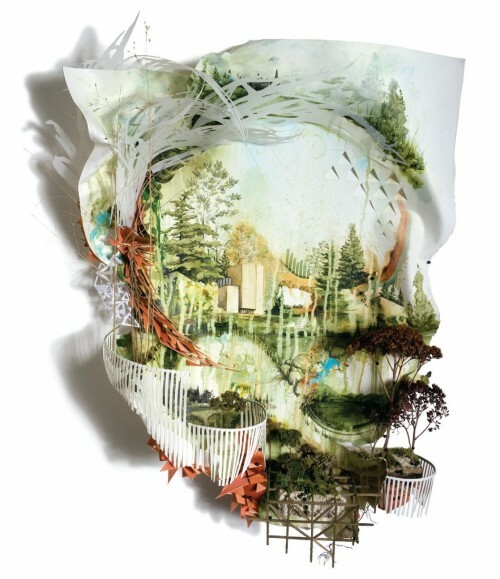 Lee presents an entirely new body of work, deftly crafted with the particulars of Clough-Hanson Gallery in mind. When confronted by the floor-to-ceiling windows that occupy a large portion of the walls, Lee joked "I'll have to make curtains." As is often the case in Lee's work, it's difficult to find the line between the humorous and the serious. 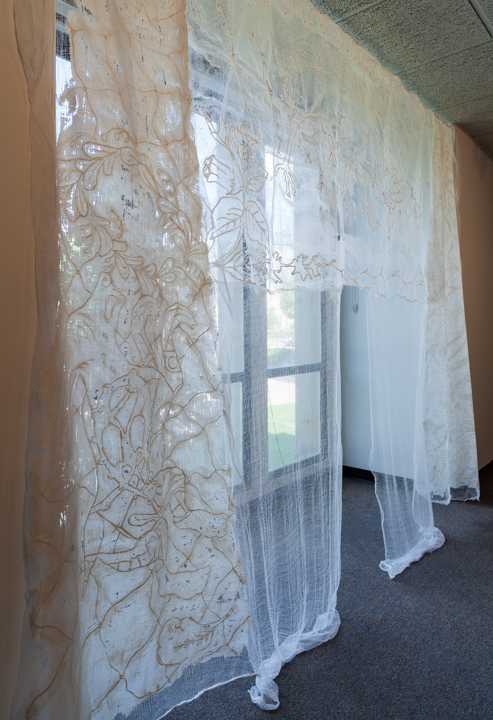 Lee did make curtains, in addition to large, hand-turned wooden posts, immense cut-paper doilies, and 3D-printed sculptural wall pieces. The opaque blinds that normally cover the windows have been removed, allowing natural light to filter through Lee's gauzy window coverings. Visitors are encouraged to experience the installation at various points throughout the day, as the character of the space shifts dramatically with the changing light. Tom Lee has been teaching at the Memphis College of Art since 1989. He received his BFA in art from Montana State University and completed his graduate work at the University of Mississippi. He has had solo exhibitions at the Mississippi Art Museum, Arkansas State Museum, Delta State University and the Power House. His work is in the collection of the Brooks Museum and he has received individual artist grants from both the Tennessee and Mississippi Art Commissions. Clough-Hanson Gallery is located inside Clough Hall on the Rhodes College campus. The gallery is open from 11am until 5pm Tuesdays through Saturdays. The gallery is closed on Sundays and Mondays. Admission to the gallery is always free. Don't miss Brooklyn-based Sketchbook Project, visiting Crosstown Arts on their summer tour with 4,500 sketchbooks created by participants from across the country. 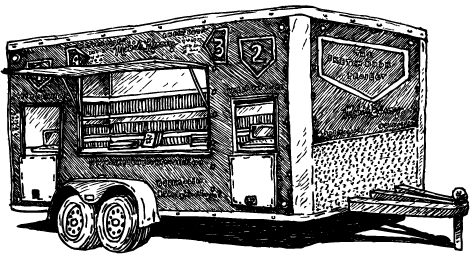 The Sketchbook Project's Mobile Library will be parked outside of Crosstown Arts from 3-9pm on Thursday, August 29. We'll have live music by Jeff Hulett One-Man Band, Los Jarochos Taco Truck, ice cream, drinks and more from 6-9pm. More details to come! 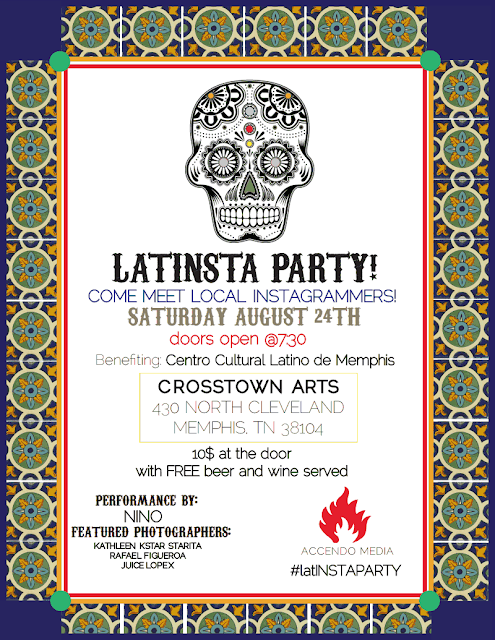 For more information check out Crosstown Arts and the Facebook event page. 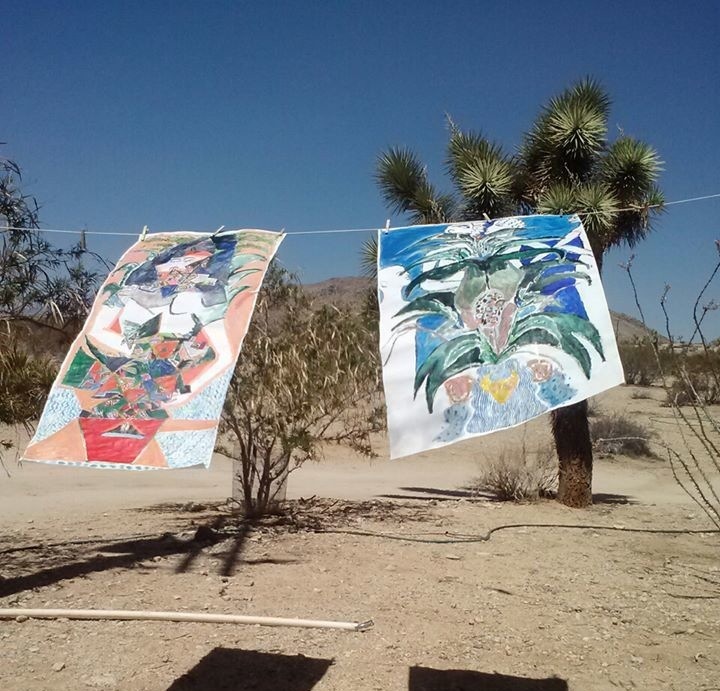 The Sketchbook Project is a global, crowd-sourced art project and traveling exhibition. Since 2006, the Sketchbook Project has encouraged participants from all walks of life to fill the pages of a blank sketchbook. The results are catalogued in the Brooklyn Art LIbrary and shared with the public in venues around the world. The collection currently includes more than 26,000 sketchbooks representing nearly 8,000 cities worldwide. This summer, the Sketchbook Project Mobile Library is hitting the road to visit communities across North America along with a selection of 4,500 sketchbooks from the permanent collection. Covering more than 10,000 miles and 32 cities in just four months, the Summer Tour is a unique opportunity to experience the Sketchbook Project firsthand and swap stories with the project's organizers. This is the sixth of a sixteen-part exhibition series curated by Jason Miller entitled Circuitous Succession. For more information and to RSVP visit the Facebook event page. Please join us for a night of three short documentary films and a portrait collection featuring Memphians. All three films will be screened and the paintings will be on display both nights, August 22 and 23, starting at 6pm in the 430 North Cleveland Crosstown Arts gallery. This event is made possible by the Rhodes Institute for Regional Studies and Crosstown Arts. Full info below. A Woman with a Physical Problem - A film by John Cerrito and Phat Ho about transgendered women living in the Midsouth. Welcome to the Tribe - A film by Becca Martin about the up-and-coming Memphis-based jam band Agori Tribe. 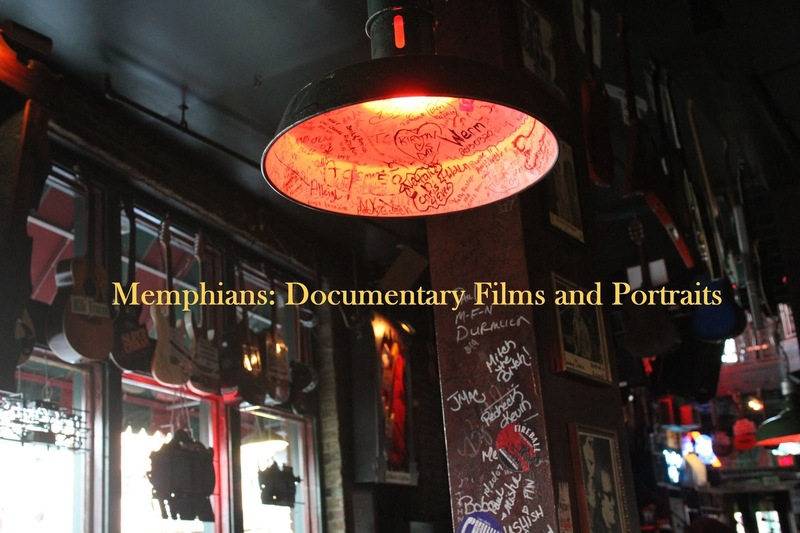 Working in Memphis - A film by Leigh M. Johnson and Sophie Osella about working Beale Street musicians. 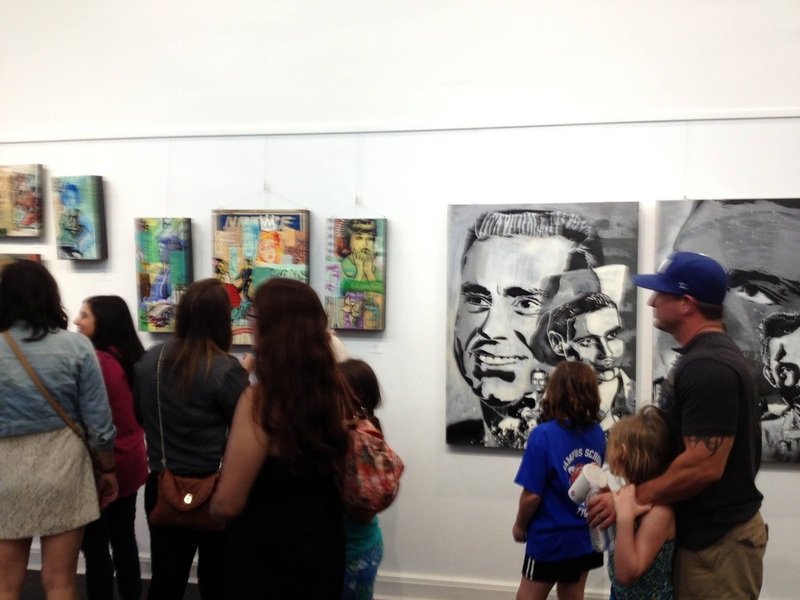 Did you miss our opening for the group showing of street art on July 26? Or want to see it again? We will offer a final look on August 24. With five artists selected by our guest curator Wallace Joiner, the vibrant art is matched only by the synergy of the assembled pieces. Come see us! Gallery 363 at Leadership Memphis is managed by Allen Hall Projects. For a list of featured artists, event details and to purchase tickets visit RAW Memphis. RAW:natural born artists is an independent arts organization that hand-selects and spotlights independent creatives in visual art, film, fashion, music, hair and makeup artistry, photography, models and performing art. Announcing Memphis' first Night Market. Fresh produce. Music. Artists and artisans. Food trucks. Fun! We'll be setting up shop between Indie Style Market and West Memorials. 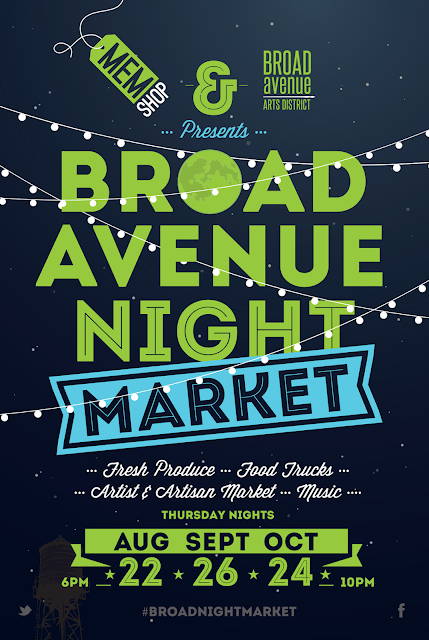 Plus, most businesses along Broad will be open late. DJ's Leroy and Jones (Pressure Sounds) all night long! Come by...take a dance class. Snag some fresh veggies. Have a beer. Sample some great food trucks. Buy local. 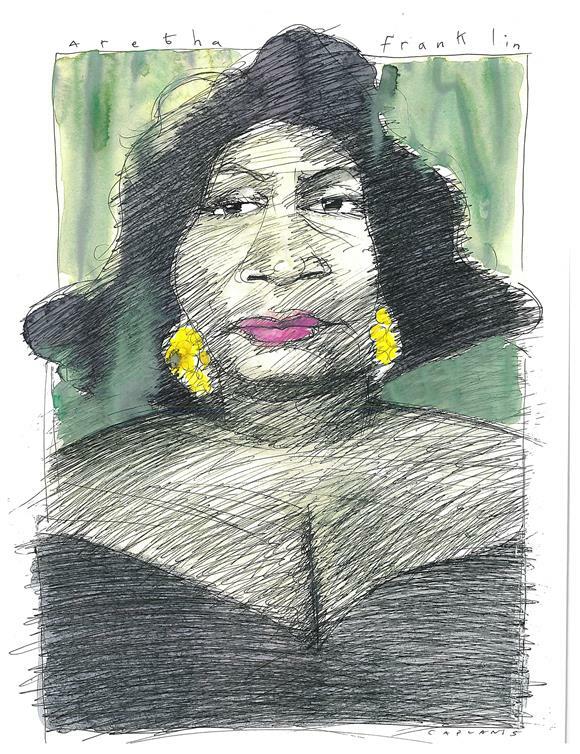 Chuck Johnson, Breaking Silence, oil on panel, 56"x48"
Mike Caplanis, Aretha Franklin, ink/watercolor on paper, 23.5" x 19.5"
Both bodies of work are on display through August 31. Tops Gallery is pleased to announce As Tiny or Important as You Like, new drawings by Sarah Jones. Sarah Jones has been involved in small-scale industrial printing from the age of fourteen when she began working in her family's print shops. This formative experience with materials and process, job fulfillment and exposure to a blinding array of haphazard design has profoundly informed her work as an artist. Identifying primarily as a printmaker and drawer, Jones' show at Tops is the expression resulting from a need to produce both unexpected results and reprocess the discarded scraps she was surrounded by during her youthful work in commercial printing. For this project Jones made large sheets of paper from the refuse pile at her uncle's print shop and restricted her virtuosic draftsmanship by executing the graphite and charcoal drawings in the still-wet-and-unstable paper. The paper's sculptural presence functions as a block for the autonomous drawn forms. 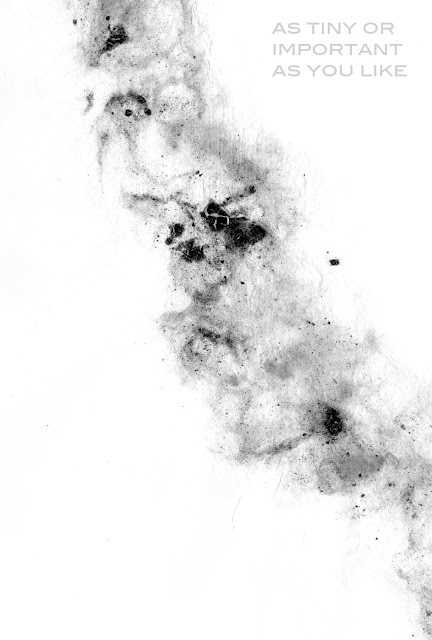 The dark planets and orbit depicted are both telling signs and mute abstractions, cosmos and smudge. Sarah Jones received her BFA from the University of Memphis in 2011. This is her first solo show. This is the fifth of a sixteen-part exhibition series curated by Jason Miller entitled Circuitous Succession. For more information and to RSVP visit the Facebook event page. In my paintings, I wish to depict human situations without being obligated to the logic and restrictions of the human form. I use vintage dolls as stand-ins for people. These figurines and dolls function as characters performing roles, similar to actors in a movie. 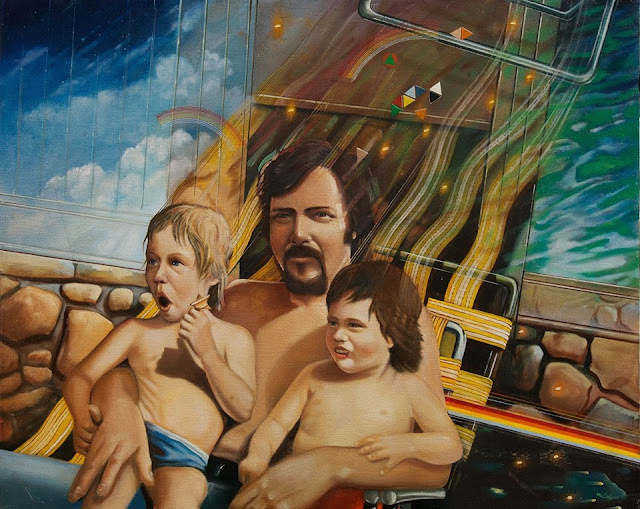 In this body of work, which I refer to as the "Happy Paintings," the subjects in habit settings and respond to their environment with obvious glee. The characters find visible enjoyment in their ideal surroundings. When I paint with watercolor, I surrender to it as a medium. I have limited control over much of what happens and this is in marked contrast with how I work as an oil painter. I am always struck by how it makes me a different artist. It is a nice departure. This fifth installment of Circuitous Succession is an exhibition featuring objects belonging to and watercolors by Beth Edwards. Edwards is a widely celebrated and prominently featured Memphis artist. 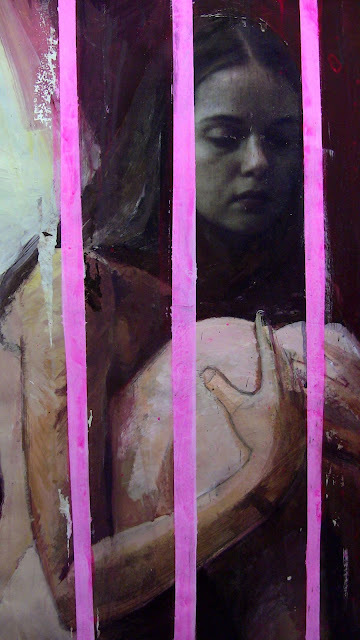 She is represented by David Lusk Gallery, featured three times on the cover of New American Painting and once on the cover of Memphis Magazine, was the artist chosen to paint the poster design for this year's Memphis in May month-long celebration and is a professor of painting at the University of Memphis, and the list of her achievements continues. Captivated by the ability demonstrated in Beth's skill in the medium of oil and watercolor painting, Jason Miller carefully selected works with a unifying idea in mind. Beth has the mastery that reveals traces of a wide range of styles and influences that have led to include her own pioneering techniques. Furthermore, she has a wealth of knowledge regarding the history of painting and the arts in general. As with any artist that comes into his or her own voice, Edwards has fiercely grasped a defining direction through her work. 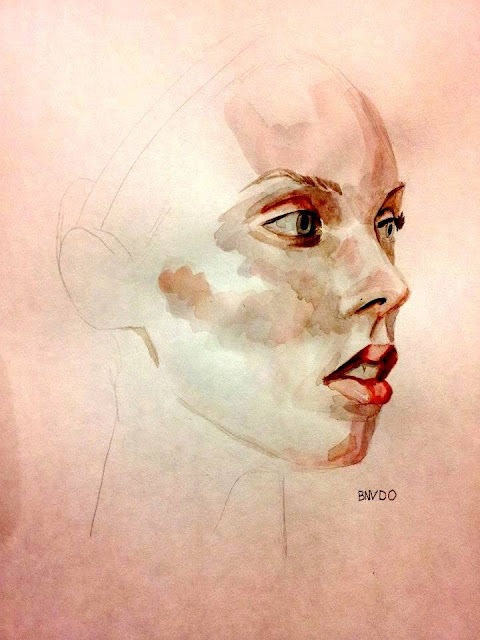 In addition to watercolor paintings objects will be on view. The objects selected by Miller for this exhibition are and have been the subject of many of Edward's oil paintings. Her oil paintings are not the paintings featured in this exhibition, but rather selections from her watercolors. The watercolor paintings selected for this exhibition draw Miller to thoughts of a simple surface level that conceals a far more complex subject matter. For example, a toy log cabin graced by exquisite brush strokes so artfully done that their functioning is seamlessly intergraded, transcends its source inspiration to become a dwelling inhabiting a dream-born longing that is lost in pursuit of childhood. Frail expressions on figurine-like faces hint towards emotions that are humanly undeniable, although seemingly unattainable. In this time of advancing technology, it seems empirical to take a step of reversal back towards a simpler way of living and communicating with each other. There is an experienced force, a maturity that fills empty forms within nearly all of Beth's paintings. Miller noted the philosophical relation of squeaker toys that change in pitch depending on air intake and outtake, which reminds Miller of the human act of breathing - is is this filling and depleting of an empty cavity such as one's lungs that links Miller's thoughts relating Edward's paintings to the objects she collects. This exhibition is set to the audio of an unnamed soundtrack of dialogue that works as a third element weaving the objects and watercolors together within a singular space in a new way. The words found in the dialogue will speak with a computer interpreter's accent, while simultaneously uttering phrases that call upon the importance of the natural world, uninhibited by humankind. Human beings may take only what is needed to survive and nothing more, as the indigenous people that once knew how to live in harmony with nature. The artificiality that many of our lives sometimes entertain, through the intervention of the construct in which we exist, is found symbolized through the translation into paint. 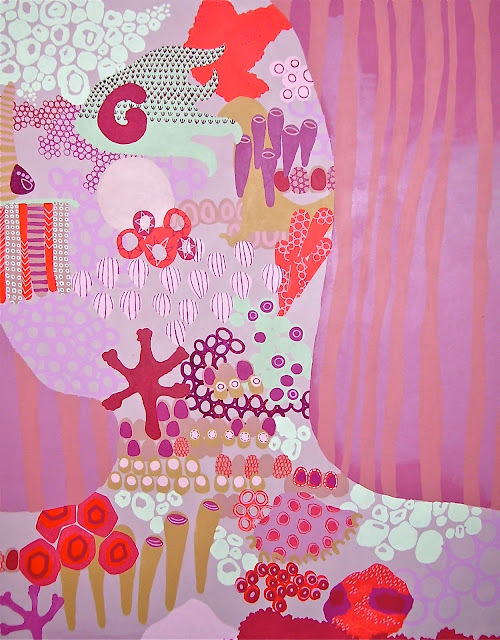 Toys and other objects, both modeled and imagined, are animated into living entities through the inventiveness of Beth Edwards' idiosyncratic form of painting. Gallery Hours: Saturday, August 17, 1-4pm and Sunday, August 18, 1-4pm. Join us for spark: conversations with Ballet Memphis in collaboration with Crosstown Arts for a fun discussion about designing for the dance stage, featuring couture fashion collector Babbie Lovett and University of Memphis costume designer and professor Janice Benning Lacek as well as our own professional dancer and fashionista, Kendall G. Britt Jr., curator of the upcoming En Pointe/En Vogue fashion show at Ballet Memphis. Come out and help us kick off our new season with a glass of wine and some interesting conversation! This event is free and open to the public, so please share with your friends! To RSVP, find this event on Facebook. 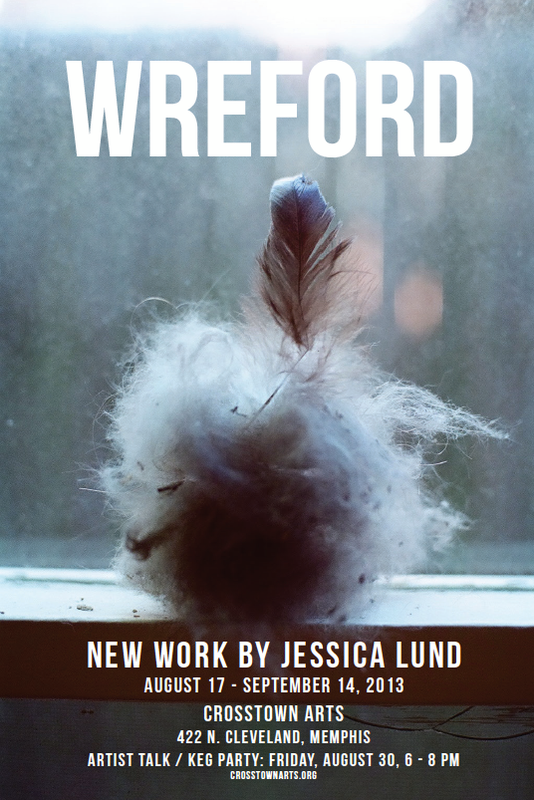 Crosstown Arts is pleased to present Wreford, an installation of new work by Jessica Lund on view from August 17 to September 14, 2013 at 422 North Cleveland. An artist talk and reception will be held on Friday, August 30, from 6-8pm. Jessica Lund is a recent graduate of the University of Memphis' MFA program. Her work explores memory through mapping and architectural space in the forms of drawings and large-scale installations. Wreford: He charged me $2 to wheel my trashcan to the street. He looks like a Ken doll. Mister: My cat has moved with me five times in six years. He looks like a stuffed animal. The Neighbors: They held the fence dividing our properties together with a garden hose. I never actually saw them. I spent July leaving Wreford's, toting boxes across midtown Memphis to a new residence. Cat fur tumbleweeds blew through the apartment as I slowly emptied it of its belongings. It was gross and romantic. Jessica Lund was born in 1986 in Florida and grew up in Alabama. She received her MFA at the University of Memphis and her BA at the University of Alabama in Huntsville. She currently lives and works in Memphis, Tennessee. Poster photo by Mim Brooks. 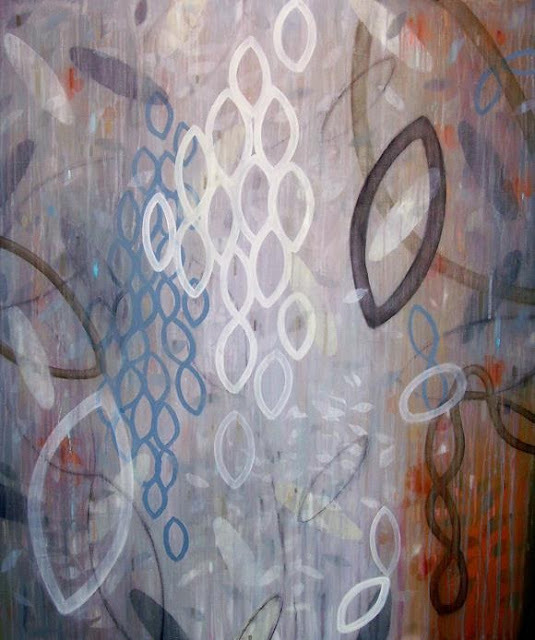 Dorothy Collier started her art career full-time in November 2012. She is humbled by all of the positive responses she's seen in this short amount of time. In the past month she has been featured in Style Blueprint and had a near sell-out show during Front Porch Art's Art For Squares show on Trolley Night in July. She participated in The Orpheum Art Sale this past Sunday and will also be at Broad Avenue's Night Out on the 22nd. Dorothy is a nominee for Martha Stewart's American Made: voting starts on August 26th! 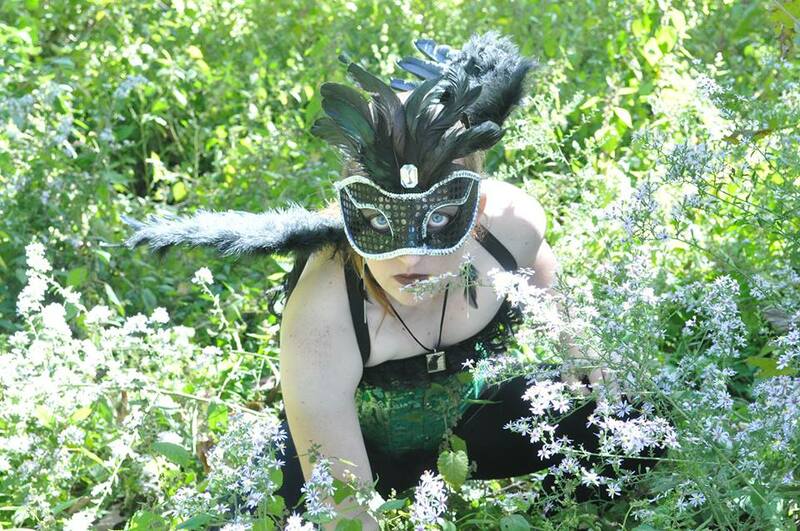 Find information about her and her work at her website (it is also listed on VM's artist page). You can also find links there to her Facebook, Instagram and Twitter. To see more work by Katie, please visit her website. 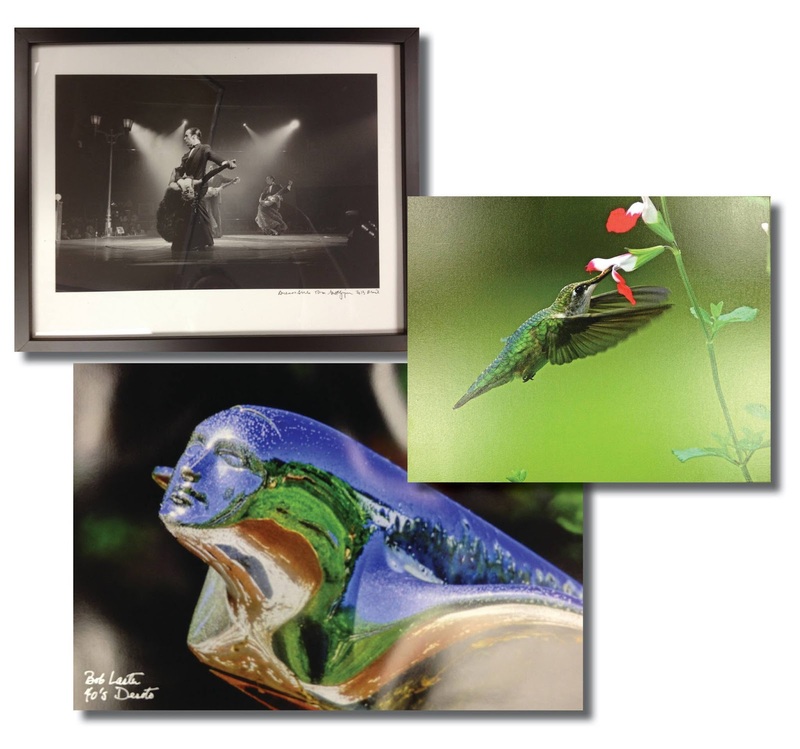 Church Health Center presents art by doctors at Trezevant. An exhibition of photography by doctors will open on Saturday, August 30, from 3-4:30pm at the Trezevant Terrace Walkway Gallery at Trezevant Manor. The exhibition is curated by the Church Health Center and will feature the photography of Dr. Tom Gettelfinger, Dr. Bob Laster and Dr. David Sloas. Part of health is engagement, intellectual curiosity and an appreciation for beauty. These three doctors document the world - from exotic locales to local nature - in ways that spark the imagination. In this sense, the opening of new vistas via the camera will be The Art of Healing. The show will remain on display through October 30. For viewing opportunities after the opening event, call Trezevant Manor at 901-325-4000. This is the fourth of a sixteen-party exhibition series curated by Jason Miller entitled Circuitous Succession. 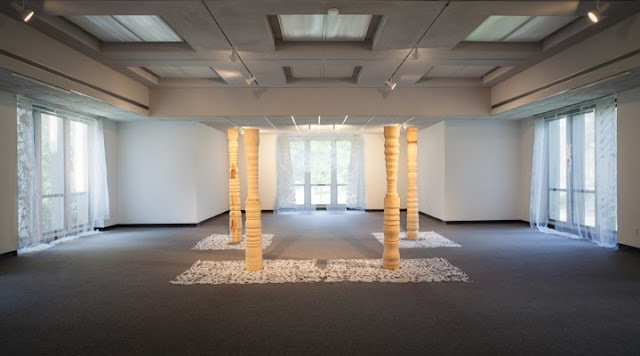 According to the event's Facebook page, Jason Miller arranges artworks and objects connected directly and indirectly with the marriage and motherhood experiences of Robin Salant. Salant is known for her work with multicolored lights and art installations. Salant was given numerous wind chimes upon her marriage and later gave a water birth delivery. During her pregnancy she contacted several artists, including Murray Riss and Jason Miller, to make maternal photographic portraits of her during her months of pregnancy. This was how Miller was first captivated by the maternal connected areas of Salant's experience. The exhibition was sparked from these maternal portraits. These initiating images become part of a collective use of symbolism and art objects to form a more sculptural and environmental presence. 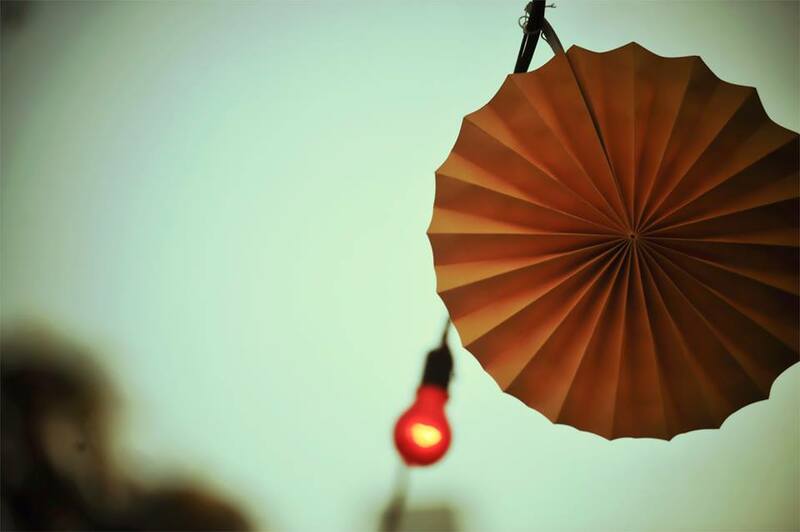 Predominantly, the installation invokes the senses of sight, touch and sound. In addition, this exhibition experience yields a focus on the relevance of meditation in connection with ritual and human existence. A ritual shall occur at 7pm during the Friday evening opening. All viewers will be encouraged to participate and interact with components of this installation-oriented exhibition event. When Jason Miller approached me about curating an exhibit from work and personal objects he would select during a studio visit, I knew it would require much trust and vulnerability. He chose personal items and stories that interested him and somehow, in his view, connected my life to my work. In 2012 much of my creative energy culminated in the creation of my marriage rituals and the installation of a deliberate birthing environment. 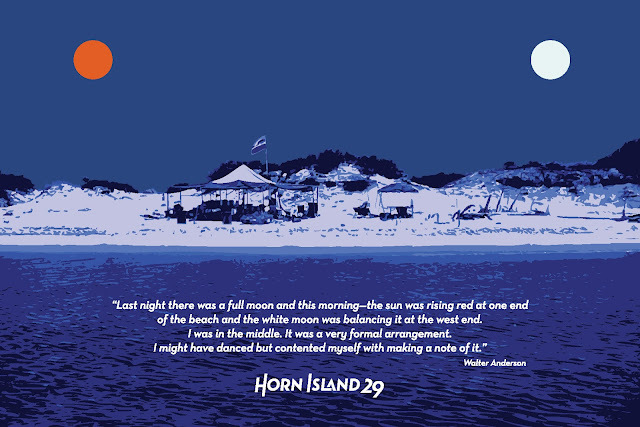 Jason chose many objects from these very personal, artful events. While the ingredients of the show are mine, the concept, title and vision are Jason's. Additional credits: Special thanks to Murray Riss for giving us permission to use his Maternal Portrait as part of the dialogue in this installation and overall project. For more information see the Facebook event page or call 901-229-1041 or email Jason Miller at jason.miller@soulrecorder.com. The Wrong Again Gallery is pleased to announce the opening of Cold Storage, an exhibition of new mixed media work by Memphis artists, Suzy Hendrix. Storage started out as The Wrong Again Gallery's vintage refrigerator. 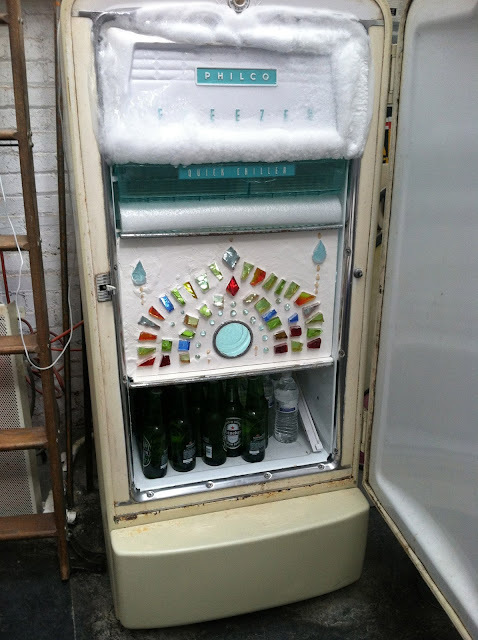 Storing art glass in the fridge is not so far-fetched as one you may think. 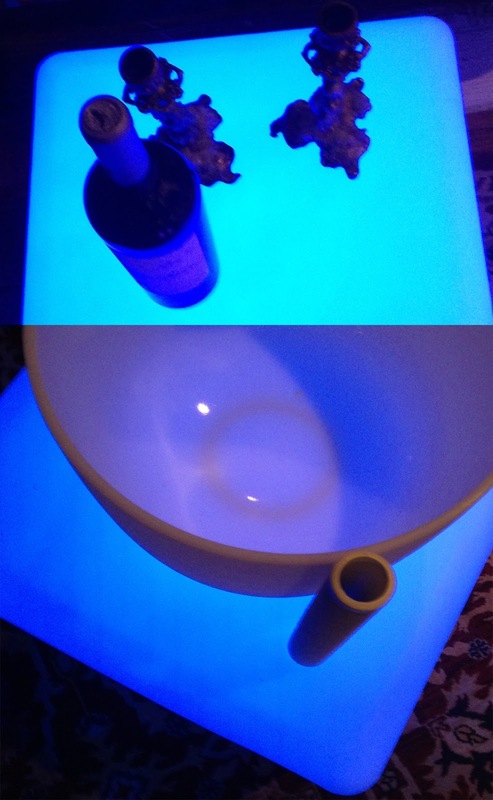 The interior light illuminates the art from behind, creating a "cool" light box! Suzy currently lives and works in Memphis, where she is well known for her glass and public works. 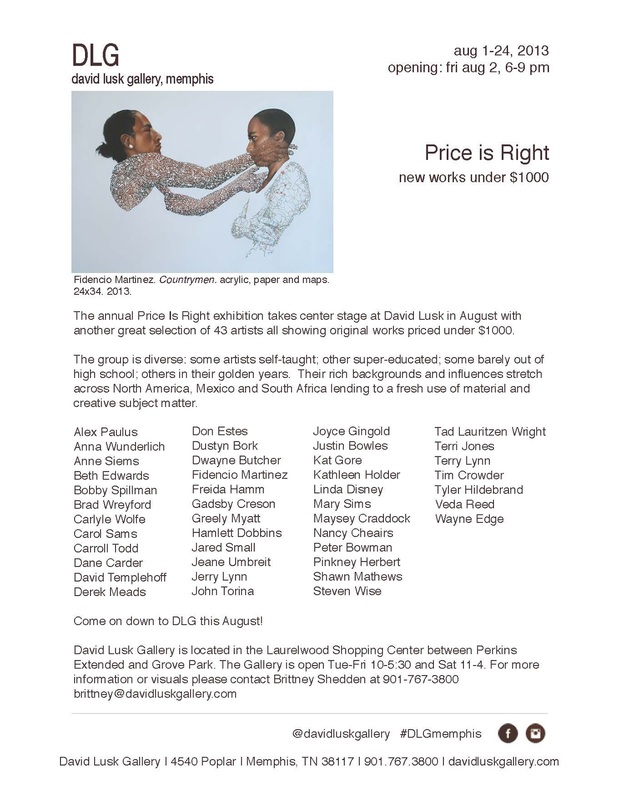 The opening reception is Saturday, August 3, 7-9pm. For this exhibition we will depart from our usual installation in the gallery and show work in the refrigerator, loaned to the gallery by Julie Wright, as well as the gallery. I guess we will use an ice chest for beer?! And as is our practice we will Skype to Suzy at an as-yet-undecided location. We are free and open to the public. They will have some wine and beer with cash donation. Jay and Kong Wee will also be visually occupying the space. John Markham's new-and-improved Eye-la-phone will be there. Artists and scientists team up to enlighten the Memphis community. Art of Science 2013 is proud to pair the finest local artists with research scientists at St. Jude Children's Research Hospital for the third year running. Working together, scientists and artists will create work that introduces new audiences to the principals that are saving children's lives every day at St. Jude. Linking these groups of people both enriches our artistic landscape and inspires people across Memphis to get involved in the fight against deadly childhood diseases. 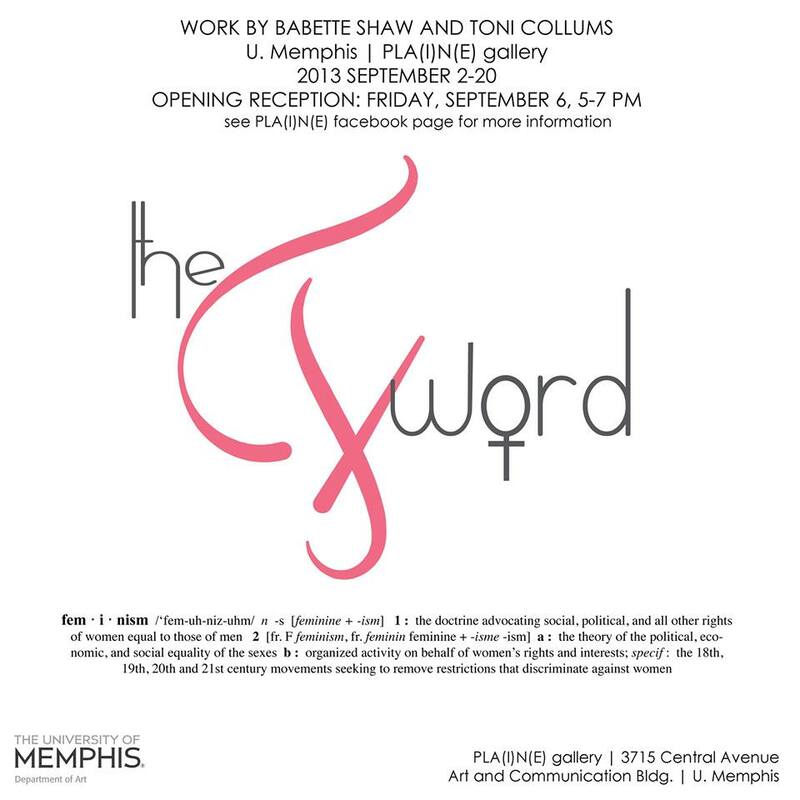 This year's exhibition opens September 27, 2013, with a reception from 6-9pm at the Memphis College of Art Nesin Graduate Center, Hyde Gallery located at 477 South Main Street. The exhibition will run six weeks Wednesday through Saturday, noon to 5pm and by appointment. The show will feature the work of 27 artists in traditional and interactive media alongside cutting edge scientific imagery. "Last year's opening night attracted more than 2000 viewers," said Dr. Heather Smallwood, PhD, President of Art of Science. "We took this as an indication that the community is interested in the art and in learning more about medical research in Memphis." This year, the Art of Science board of directors aims to inspire even more people. Researchers at St. Jude not only strive to prevent and cure childhood cancer, but are daily making discoveries that can improve the health and well-being of many Memphians, as well. "Memphis College of Art is delighted to be hosting this year's exhibition, and we know the Memphis community will be out in force to witness these marvelous works," said MCA President Ron Jones. "The work these scientists do at St. Jude is truly an inspiration - what a wondrous and fitting muse for our local artists!" By studying their research, artists create unique portholes that enable viewers to peer inside the laboratories of this renowned facility. Greely Myatt, Carl Moore, Bobby Spillman, Eli Gold, Margret Munz-Loch and dozens of other gifted local artists are lending AOS 2013 their talents. During the opening reception (Sept. 27), visitors will have an opportunity to meet and talk with all of the scientists and artists whose works are featured. AOS will also provide educational materials to enhance public understanding about the work on display. The exhibition is appropriate for adults and children of all ages. Through this artistic lens people across our community can glimpse and connect with the rarely seen scientific miracles that occur everyday within the walls of St. Jude. Price is Right at David Lusk Gallery tonight! Announcing Art of Science 2013!